If you buy a vehicle, its value dips about 10% the moment you take it out of the showroom. But, if you own a pre-2009 Royal Enfield Bullet with the original engine things seem to work in reverse: its worth actually goes up! The current demand for and short supply of the “original” Bullet, the classic 350 cc bike with gears on the right and brake pedal on the left, has pushed up the prices of the pre-owned bikes. The average waiting period of four months for a new Royal Enfield Bullet has also pushed up the demand for pre-owned bikes. Eicher Motors, which acquired Royal Enfield in 1994, has moved over to the new unit construction engine, said Venkatesh Padmanabhan, CEO, Royal Enfield. “The new engine has 30% less parts and 30% more power. 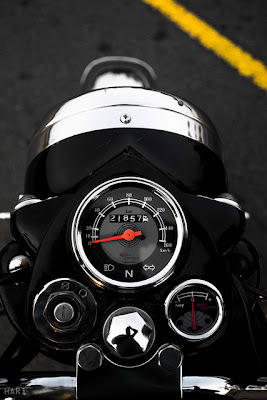 However, like with many other moves to update technology, there are those among our followers who miss the original beat, the original motorcycle with the gear shift on the right side. While we work very hard at getting the new engine to be equally enchanting, the desire for the old one apparently is on the rise,” Padmanabhan said. Another reason for the rise of prices of the re-conditioned Bullet is due to the fact that expats returning to their homes take advantage of emission law provisions that exempt antiques from the regular stringent regulations, explained Padmanabhan. “Foreigners are usually okay with paying more for a bike they like. That has also pushed up the prices of classic bikes,” Khan said. Though it is not as popular as the Bullet, the prices of the erstwhile Yezdi’s Road King have also increased over the last year. The Road King stopped production in 1996. These bikes used to cost around Rs 10,000 till 2007. Current prices hover around the Rs 30,000 mark. Please do something about the quality of your products and ready availability of spares. Cast Iron Engine bikes should be offered as Made to Order option for all those who dont want to go for U.C.E.